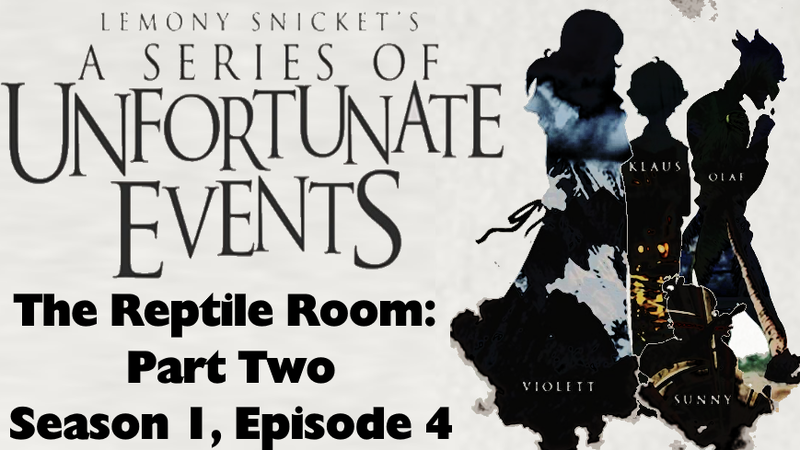 Our journey involving the Baudelaire Trio continues with my look at next episode of Netflix's 'A Series of Unfortunate Events' titled 'The Reptile Room: Part 2' (Season 1, Episode 4). Spoiler Warning Is In Effect. 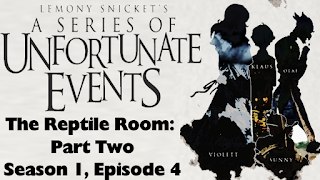 The second half of The Reptile Room is quite… unique in how its presented, as it’s more of a classic case of ‘who and or what done it’ when it comes to the murder of Dr. Montgomery, with Count Olaf trying to take the Baudelaire Trio too Peru only to be prevented by the timely arrival of Mr. Poe who was coming to give Monty the kids’ passports. Despite being a total incompetent when seeing what is in front of him, Mr. Poe’s particularly preference for proper procedure forces Olaf to keep up his disguise as Stephano while he calls in his theater troupe to act as the authorities (a nice touch being with the hook handed man having fake hands). An aspect of this I like is that even though they have the numbers advantage and could easily just kill Mr. Poe and take the kids, Olaf and his troupe stick to their roles, seemingly would rather work with the performance they are putting on… though it’s quite clear that Olaf will kill to get what he wants. Speaking of Olaf, I like the fact that his own ego keeps getting in the way, leading him to make various mistakes like saying ‘He doesn’t know anything about snakes’ and then being caught in a lie when saying ‘he read up on them’, but at the same time he is vile and villainous enough to cover the eye ankle tattoo in case someone was to demand to see it (which Mr. Poe does twice, the second time after realizing the truth when the Baudelaires point it out too him following Violet’s discovery of how Olaf killed Monty). I also like that Olaf does admit he killing Gustav while saying ‘what are you going to do about it?’, leading into Monty’s reptiles basically going on the offensive to chase him and his troupe away. Now there is a lot of foreshadowing in this episode as well as Jacquelyn meets with the Baudelaire Trio, saying she is going to pursue Olaf to bring him to justice and telling them to go to their Aunt Josephine who just happens to be the next guardian on Mr. Poe’s list in case anything happened to Monty. We also see that the Baudelaire parents try to call Monty’s home before having to fight their way out of a bar in Peru, which raises all sorts of question. Klaus also realizes something is up with a spyglass, that it has some vital importance since Monty used it to get a message at the theater in the previous episode and that it’s a reoccurring item in the series. 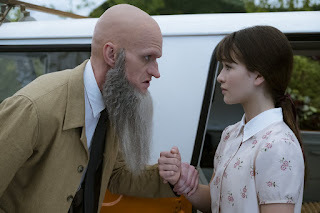 Overall this episode presents a nice conclusion to the events set up in part one while advancing the overall story quite nicely, and I’m looking forward to watching episode five ‘The Wide Window Part One’ tomorrow to see the next step in the Baudelaires journey.